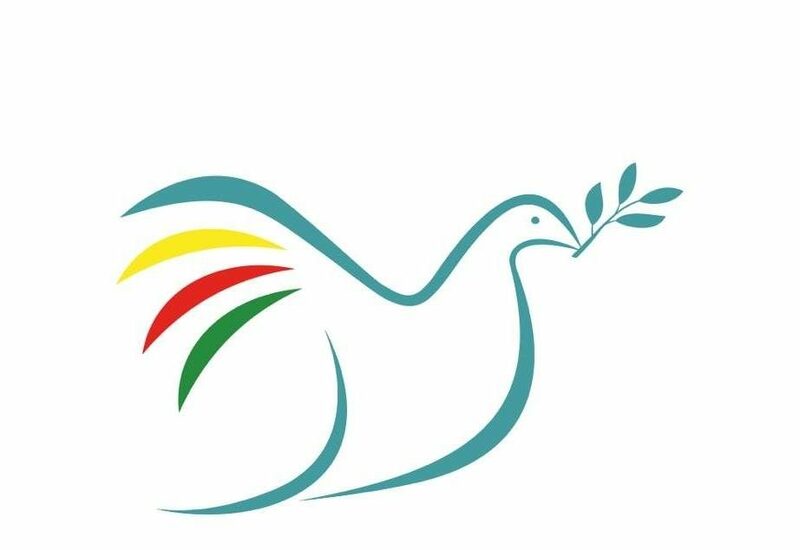 Restart the Peace Process in Turkey – No to Turkey’s military intervention in Syria – Defend Rojava! We have watched with increasing alarm and frustration as the peace process between the Turkish government and the Kurds has stalled and been brought to a halt. Just a few months ago talks between Turkish officials and jailed Kurdish leader Abdullah Ocalan promised to herald a historic breakthrough in the protracted conflict. We believe that President Erdogan had deserved credit for enabling these talks to go ahead with a view to finding a lasting resolution to the decades-long conflict which has brought incalculable damage to Turkish and Kurdish communities alike and needlessly claimed thousands of lives on both sides. For news and views from the Kurdish movement, there are several English-language Kurdish news outlets that you can follow which offer up-to-date reports, news items and statements. While our briefings aim to provide a round-up of interesting articles from a spectrum of international news sites and political perspectives, we also encourage readers to check ANF, Hawar News and other Kurdish news services to access news from the ground. Is PKK real target of Turkish strikes? Is Turkey really committed to fighting IS? After several days of prevarication, US officials have confirmed the Obama administration’s agreement to Turkish demands to set up a coalition-protected “safe zone” inside northern Syria in return for permitting US aircraft to use Turkey’s military bases to attack Islamic State. The safe zone will stretch for 68 miles along the Turkey-Syria border, from the town of Jarabulus to Marea, and will be about 40 miles deep, reaching to the outskirts of Aleppo, Syria’s second city. Under a deal agreed last week by Barack Obama and and his Turkish counterpart, Recep Tayyip Erdoğan, US and coalition air strikes will attempt to clear the area of Isis fighters. A “safe zone” Turkey and the U.S. are creating in Syria is an attempt by Ankara to stop Kurds from forming their own territory, the leader of Turkey’s pro-Kurdish party has told the BBC. Chairman of the People’s Democratic Republic (HDP) Selahattin Demirtas has called on Turkey and the PKK to return to peace negotiations – follow a series of recent clashes between the two sides. The so-called safe zone was announced after ISIS-linked militants carried out attacks on Turkish border towns – including a recent attack on Suruc last week where 32 people were killed – the BBC added. Turkish war planes launching a wave of new assaults on PKK targets after five more people were killed in attacks blamed on Kurdistan Workers’ Party (PKK) militants. Ankara says it is fighting a two-pronged “war on terror” against Islamic State (IS) jihadists in Syria and the PKK in Iraq’s Kurdistan Region, after a spate of attacks in the country. 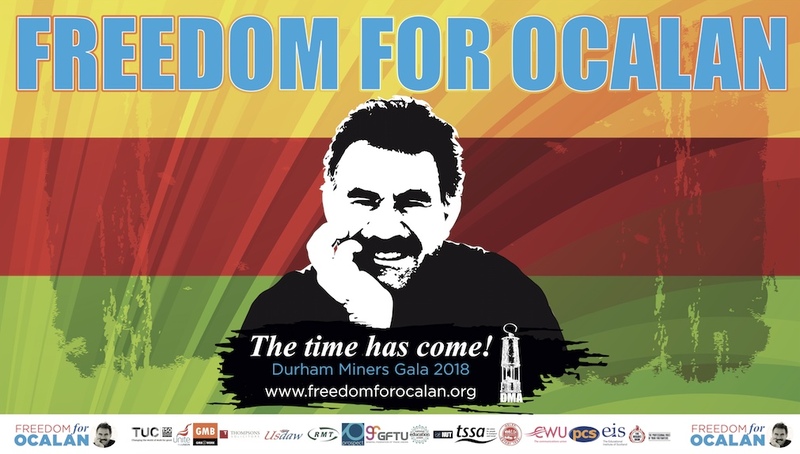 The resolution process started with the outlawed Kurdistan Workers’ Party (PKK) leader Abdullah Öcalan’s letter that was read out loud during Nevruz in Diyarbakır in 2013, saying, “The era of armed struggle has ended.” This process has now come to a serious standstill. In the last 10 days, the Suruç massacre occurred. Next, the PKK executed policemen in two cities and Turkey organized air operations both against Kandil, the mountainous area across the border where guerilla headquarters are based, and Islamic State of Iraq and the Levant (ISIL) targets in Syria. There is a serious state of war in the country. Everybody has a chronology and/or a claim about how we arrived at this stage. Diyarbakır Public Prosecutor’s Office has launched an investigation against HDP (Peoples’ Democratic Party) Co-President Selahattin Demirtaş on the grounds of “arming and provoking a part of the people against the other part” in line with the Article 214/2 of the Turkish Penal Code. More people have been remanded in custody as part of the ongoing political operations in line with the total warfare concept put into effect by the AKP recently. Three youths who had been detained in house raid operations in Antep were referred first to the prosecution office, then to a court last night. All the three were remanded in custody and sent to Antep H Type Closed Prison on charges of “membership to a terrorist organization”. With the arrest of the three youths, the number of those remanded in custody in the most recent operations in Antep rose to 14, including 11 out of 21 people who had been detained on July 28. Prime Ministry Coordination Center stated that 1050 people were detained in 34 cities during police operations started on Friday. Judicial process is going on for the detainees. It was claimed that police operations were carried out against Islamic State of Iraq and Syria (ISIS), PKK and Revolutionary People’s Liberation Party/Front (DHKP/C) but names of illegal organizations to which 1050 people were linked weren’t explained. A senior member of the Kurdistan Communities Union (KCK), an umbrella organization that includes the terrorist Kurdistan Workers’ Party (PKK), told the BBC Turkish service on Wednesday that the PKK is not responsible for the execution-style murders of two Turkish police officers who were found shot in the head at their home in the southeastern province of Şanlıurfa last week. Kurdish fighters and Syrian regime forces ousted the Islamic State (ISIS) from the northeastern Syrian city of Hasakah on Tuesday, according to the Syrian Observatory for Human Rights, a U.K. based group that monitors the conflict. ISIS militants had launched an assault on the city last month, particularly the city’s government held southern areas, in a bid to tighten its grip on territory surrounding its de-facto capital, Raqqa. Rojava is quickly becoming a center of trade and production despite the shortages and sufferings caused by the ongoing war, according to an article from ANHA carried by Özgür Gündem. Economic development is occurring along the lines set forth by the leadership of the Kurdish Freedom Movement, and current economic growth is being led by newly found communes, committees, unions and civil organizing as part of the democratic economy model. The Washington Kurdish Institute (WKI) met with Mr. Polat Can, the Representative of People’s Protection Units (YPG) to international coalition. Mr. Can, one of the founding members of the YPG, was previously a YPG spokesperson and headed the Kobani media center. He has spent many years working in media, helping found a number of radio and TV stations in Rojava (western Kurdistan), and has published numerous articles in Kurdish, Arabic and Turkish. Stabs in the back don’t get much nastier than this. For the past year, Western leaders have feted the Kurds of Northern Iraq, praising them as one of the few forces gutsy enough to face down the death cult of Isil. Now, those leaders turn a blind eye, or even worse give an active nod, to attacks on Northern Iraqi Kurds by the Turkish air force. Heroes one minute; fair game for massacre the next. In the long list of Western betrayals of former allies overseas, this one feels especially grotesque. Last Friday, following months of negotiation with Washington, Turkey launched its first-ever air strikes against Isil in Syria. Fighting Both Sides of the Same War: Is Turkey Using Attacks on ISIL as Cover for Assault on Kurds? Interview with Kani Xulam. Turkish jets have reportedly launched their heaviest assault on Kurdish militants in northern Iraq since airstrikes began last week, effectively ending a two-year truce. Over the past week, the Turkish military has launched combat operations on two fronts: one against the self-proclaimed Islamic State in Syria and another against Kurds inside Turkey and in northern Iraq, where Kurdish groups have been fighting against the Islamic State. This means Turkey is now essentially bombing both sides of the same war. On July 23, Turkish air force F-16s attacked Islamic State (IS) targets in northern Syria in response to a July 20 suicide bombing in Suruc and an IS attack on an army border patrol that killed one soldier. These events were followed on July 24 by the first Turkish aerial bombing since 2011 of Kurdistan Workers Party (PKK) targets, in northern Iraq. In just one week, Turkey has demonstrated how skilfully it manipulates NATO’s realpolitik, thereby simultaneously achieving its own ends in terms of home politics, without keeping any of its promises to its partners. And getting praises from world leaders to boot. Ankara’s carefully crafted campaign has gone full circle from the massacre last Monday in Suruç to the bombings of the Kurdish villages of Zor Mixar and Tel Findir in Rojava, with in its centre Kobani which represents everything Erdogan’s ruthlessly autocratic government opposes. In joining the fight against the Islamic State (IS) — following the July 20 attack by the group in the town of Suruc that killed 32 people, most of them Kurdish peace activists, and another near the town of Kilis on July 23 that left a Turkish officer dead — Ankara has clearly moved in the direction long desired by its Western allies. The decision to open the Incirlik Air Base to the US-led coalition for use against IS provides tangible evidence that Turkey has turned a corner in this respect. In what may prove a turning point in the fight against Islamic State (Isis), Turkey has struck a military and security cooperation pact with the US that could greatly enhance the effectiveness of coalition air strikes. But what US officials describe as a game-changing deal also comes with a potentially high price tag: the escalating spillover of the Syria-Iraq conflict into neighbouring Middle East countries. All too often, reports from Syria describe a civil war where each combating force seems worse than the last; but in that unlikely political maelstrom a new society is being forged that should provide a beacon of hope for progressive people everywhere. That society is the autonomous Kurdish region of Rojava, in northern Syria, which, against all the odds, is developing a new form of bottom-up democracy. Like leftists and communists, anarchists and libertarians have been divided over Rojava. Some of them are very supportive and optimistic about the future of this experiment and the others are skeptical and suspicious. There are many factors contributing to this. Some of these factors apply not just to anarchists, libertarians and others, but to the Kurdish people too. So this article may also be the answer to those Kurdish people who frequently ask why they do not receive support from political groups and ordinary people, not just about Rojava, but about any event in any part of Kurdistan. In the lead up to the 2003 invasion of Iraq, US policy-makers scrambled to persuade Turkey to join the coalition against Saddam Hussein. The backing of Muslim-majority Turkey, in their view, would have pre-empted accusations in the region that the US was waging war against Islam. Ankara eventually rejected the US’s entreaties, and Western troops partnered instead with Iraqi Kurds in the march on Baghdad. Despite Ankara’s protests, US-Kurdish cooperation formed the foundation for a Kurdish statelet in Iraq’s north, today the only part of that country with effective government. On 20th of July 2015, 32 young people, consisting of activists and volunteers brutally died in Suruç, Turkey. They were young people from different parts of Turkey and members of the Federation of Socialist Youth Associations (SGDF) who gathered in Suruç, on the Turkish side of the border with Syria near Kobane. These young people wanted to rebuild war-torn Kobane. They wanted to build libraries, bring books and clothes. During a press conference, these activists faced a barbaric attack from ISIS – a suicide bomb. There are recent revelations from The Guardian that the U.S. deal with Turkey involves a “no fly zone” (that would only apply to Assad’s Syrian Regime, as neither ISIS nor the Kurds have planes) in exchange for a tacit agreement that Turkey can prevent further land acquisitions by the Kurdish PYD in their quest to unify Rojava by connecting the Kobane and Afrin Cantons. Essentially, the U.S. gets use of a closer location at Incirlik Air base to bomb ISIS from, in exchange for selling out the Kurdish PYD (which includes their heroic YPG & YPJ guerrillas), who were the only ground forces effectively defeating ISIS. Congratulations on the liberation of the town of Sirrin, KNK Press Release, 27 July 2015. 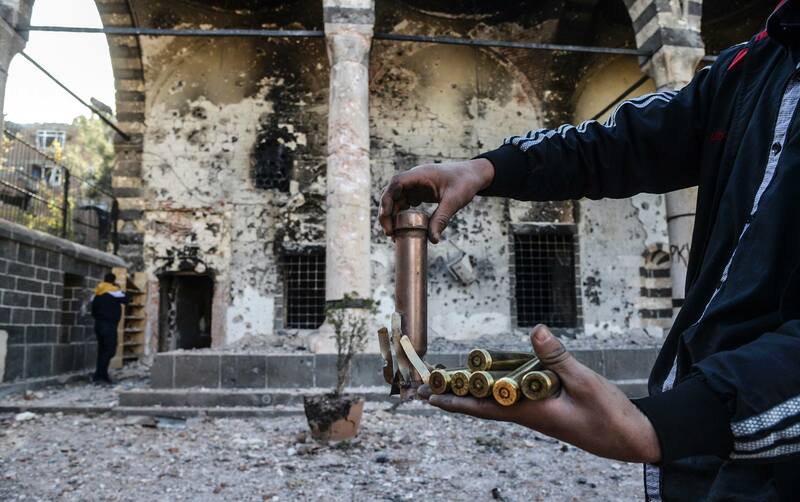 Urgent Appeal: Turkey’s military attacks against the Kurds continue, KNK Appeal, 30 July 2015. Turkey: Attacks against Kurds unmask Ankara’s deceitful policy, Society of Threatened People’s Press Release, 27 July 2015.